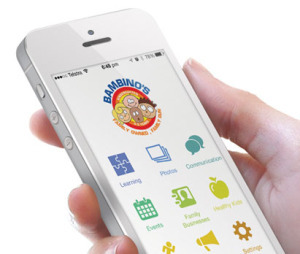 Bambino’s Kindergarten is happy to introduce Kindyhub: a fantastic new app that captures your child’s learning and updates you directly! This is part of our commitment to providing your child with the best learning experience. At the end of each day, Kindyhub allows us to easily share your child’s daycare experience, capture your child’s achievements throughout the day and inform you through photos, notes, and stories. Kindyhub saves time, for both you and our centres, allowing our educators to spend more time with your child. Whether you have an iPhone, iPad, or Android-powered device like a Samsung Galaxy, you can receive updates straight to your phone or smart device. Kindyhub also gives you the opportunity to send your thoughts and feedback straight back to your child’s centre so we can know your thoughts.